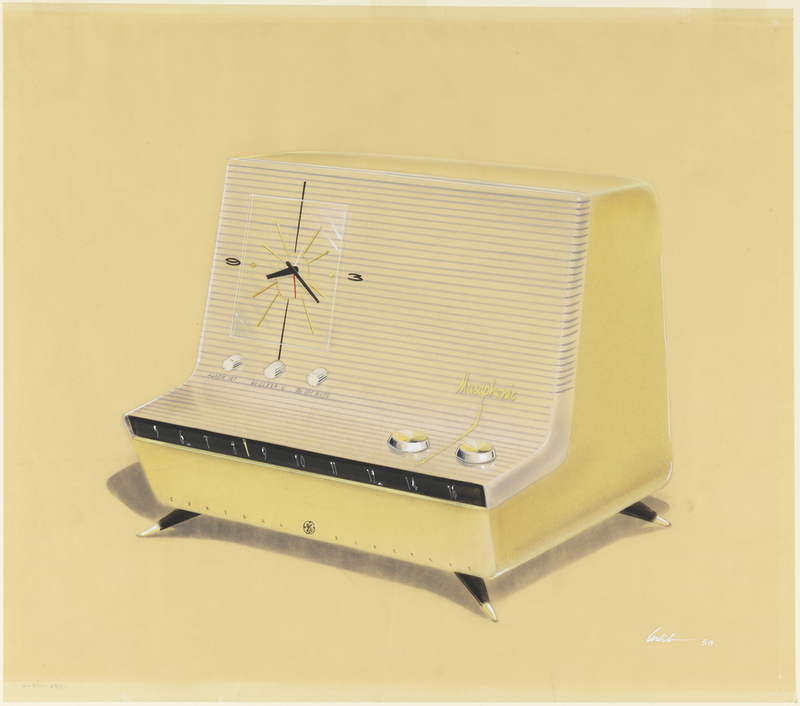 See more objects with the tag timekeeping, industrial design, radios, presentation drawing, clock, mid-century modern. See more objects with the color rosybrown antiquewhite darkslategrey grey or see all the colors for this object. This is a Drawing. It was made for (as the client) General Electric Company. It is dated 1958 and we acquired it in 1992. Its medium is pastel, gouache, watercolor, pen and black ink, graphite on vellum. It is a part of the Drawings, Prints, and Graphic Design department. It is credited Museum purchase through the gift of Mrs. Edward C. Post.